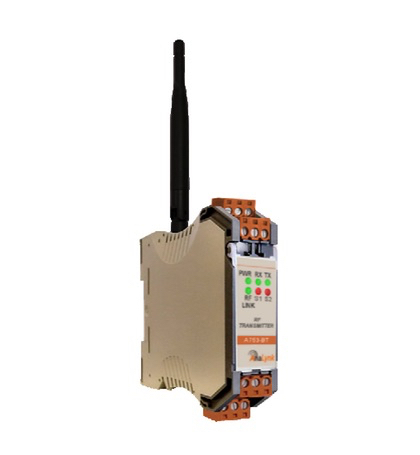 The Model A753-BT transmitter offers battery power for installations that do not have access to 24Vdc. The transmitter utilizes a real time clock that allows transmission in- tervals of seconds to days. The transmitter can operate at full one watt of power and includes an excitation supply to power external devices. Input is 4-20mA and two discrete switches (wet or dry). The transmitter communicates with the standard 24Vdc powered A750 receiver. 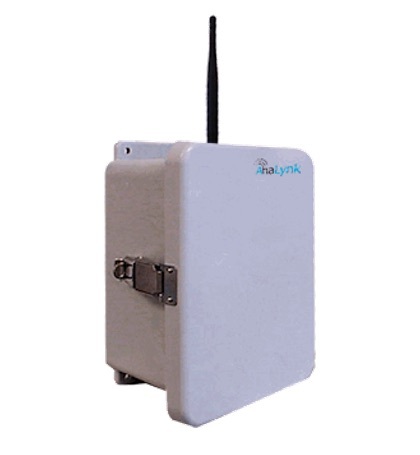 Options include a NEMA 4 enclosure and 2.4GHz, 63mW. A750-BT-EXP Housed in explosion proof enclosure with C1, D1, groups C & D antenna (two D cell batteries maximum). A753-BT-EXP Housed in explosion proof enclosure with C1, D1, groups C & D antenna (two D cell batteries maximum). A750-BT Battery Powered Transmitter DIN rail enclosure. 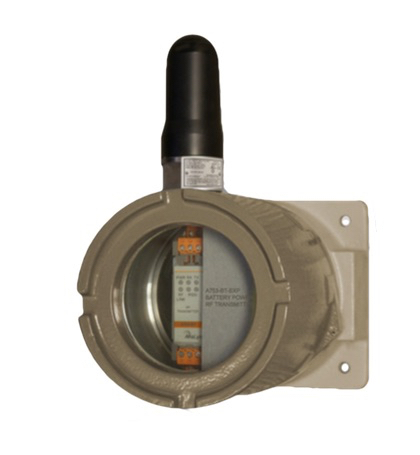 A753-BT-EXP Battery Powered Transmitter Explosion Proof enclosure. A753-BT-N4 Battery Powered Transmitter NEMA 4 enclosure.